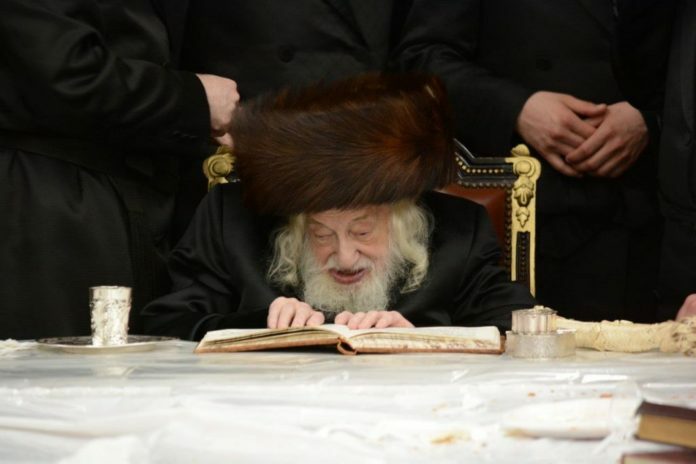 The Skulener Rebbe Shlita, HaRav Yisrael Avraham ben Shaina Rochel was admitted to the hospital on Tuesday. The Rebbe was diagnosed last week with pneumonia, and was being treated at his home in Boro Park. 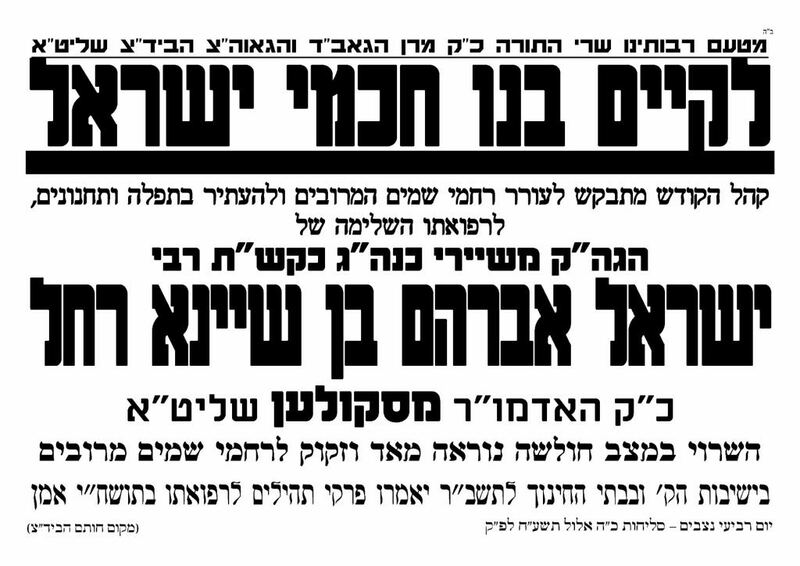 Gaboyim of the rebbe explain that due to the rebbe’s advanced age, the decision was made to hospitalize him for the high fever. The Rebbe was in stable condition on Wednesday afternoon.